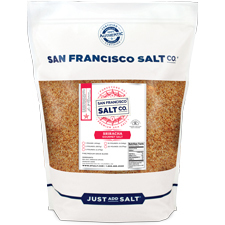 DESCRIPTION - Pacific Ocean Sea Salt infused with Chimayo Peppers, Habanero Peppers, and Garlic. We package in our U.S.A, GMP certified packaging facility that is 3rd party audited, by SCS Global. Crafted in the USA.